Discover the Hutt River Trail in the most cost-effective way possible! Great for families or beginner riders. Just meet us at Petone Wharf (a short drive, train, or ferry from Wellington) then jump on your bike and start exploring! 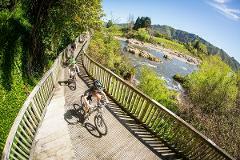 Discover the Hutt River Trail in the most cost-effective way possible! Great for families or beginner riders. 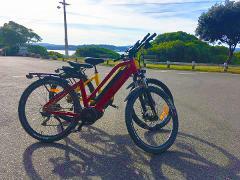 Just meet us at Petone Wharf (a short drive, train, or ferry from Wellington) then jump on your eBike and start exploring!